So I was browsing through this week's City Council work session agenda, and what should I see but an update from Alan DeLisle on the Durham Athletic Park plans, which provides updates -- and some tantalizing new material -- on some of the plans at hand. Such as, say, the image at left... but more on that in a minute. First, the renovation's scope: the project will take care of deferred maintenance and ADA compliance, some sewer repairs, environmental and hazmat mitigation, and electrical upgrades... along with more interesting (to users) elements like a new natural turf field, new restrooms, new/enlarged clubhouses under the grandstand, new dugouts and umpires' facilities, updated concessions, a picnic area along the right-field line, paved parking, and a new manually-operated scoreboard. I'd heard fretting from some in Durham's development community that the price tag for the DAP renovations was looking pricier than the $4 million allocated by voters in the 2005 bond issue. Well, one part of today's update provides a partial answer to that: a request from DeLisle and the DAP team to allocate an additional $1 million towards the project in the Capital Improvements Project budget. Anyhow, the deal calls for Minor League Baseball to be the operator of the facility for an initial three-year term with future extension rights. MiLB would hire all staff and run the DAP's operation, including concessions, ticket sales, merchandising, promotion, and so forth. The city would pay MiLB $35,000 a year for managing the DAP, and would split profits on operation with Minor League Baseball (70% to MiLB, 30% to the City.) The net change over existing Durham operating expenses is a mere $13,000 a year in the worst case -- and the facility could actually net a profit for the City if successful. Today's notable DAP users -- Parks & Rec, the Durham School of the Arts, the American Legion leagues, the World Beer Festival, and the Bimbe and Bull Durham Blues festivals -- are grandfathered in for facility usage under the proposal. NC Central will also move to the DAP as its new home field for Division I baseball. As expected, Struever Bros. is to be the construction manager at risk on the project, with D’Agostino Izzo Quirk Architects (DAIQ) of Boston's Fenway Park renovation fame as the architect. Work is projected to be complete (worst-case) by September 2008 if this plan moves forward. 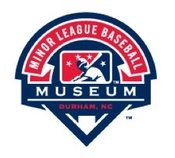 An annual MiLB promotional seminar, currently held in multiple cities, would move permanently to Durham, bringing representatives of 160 teams, exhibitors, and sponsors. MiLB-run academies for interns (seeking to break into the sport on the business side), groundskeepers, and broadcasters (possibly in partnership with Capitol Broadcasting). Altogether, the schedule of activities that Minor League has in mind is one of the things that, to me, make this a terrific deal for Durham. A steady stream of tourists and visitors bound for the DAP district -- at first for these camps and workshops, eventually to visit the museum -- means more traffic for the Marriott and the new boutique hotel, more patrons at local restaurants and shops. We're adding more and more things to do downtown; renovating the DAP and partnering with Minor League Baseball makes downtown Durham a destination for sports lovers. Oh, and MiLB will (naturally) show the movie Bull Durham on a regular basis at the old park. Here's hoping for smooth sailing on this with the City Council. It's about time a sport other than lacrosse put the Bull City on the nation's radar screen. $13,000 a year is a small price to pay for a partnership like this one. I would really, really like to see this work out for Durham. Yeah, and I just watched Bull Durham in Spanish on cable. OK, I didn't watch the whole thing, but it was nice to be reminded of what baseball at DBAP looked like.....Let's hope it can again be there! Sorry, I meant "what baseball at DAP looked like"